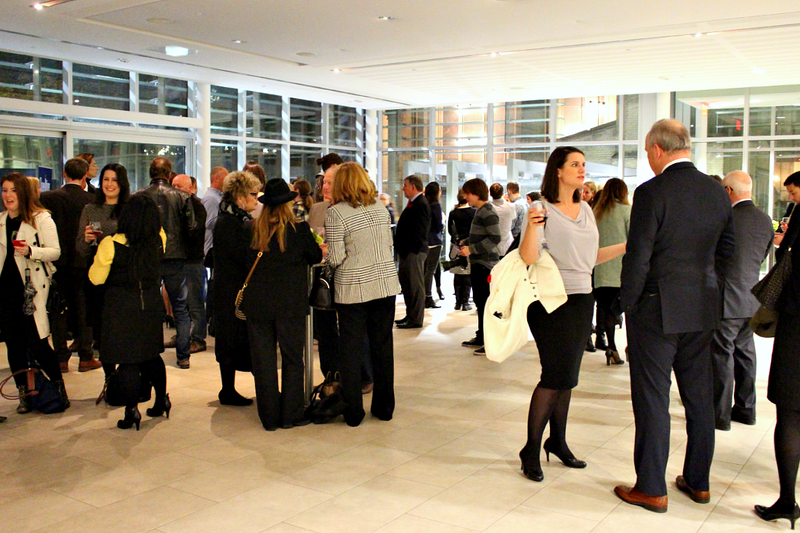 It's no secret that I am a huge fan of Sarah Richardson, her lovely team and their amazing work. What they do is absolutely incredible. The spaces they transform always leave us wanting more! Right?! 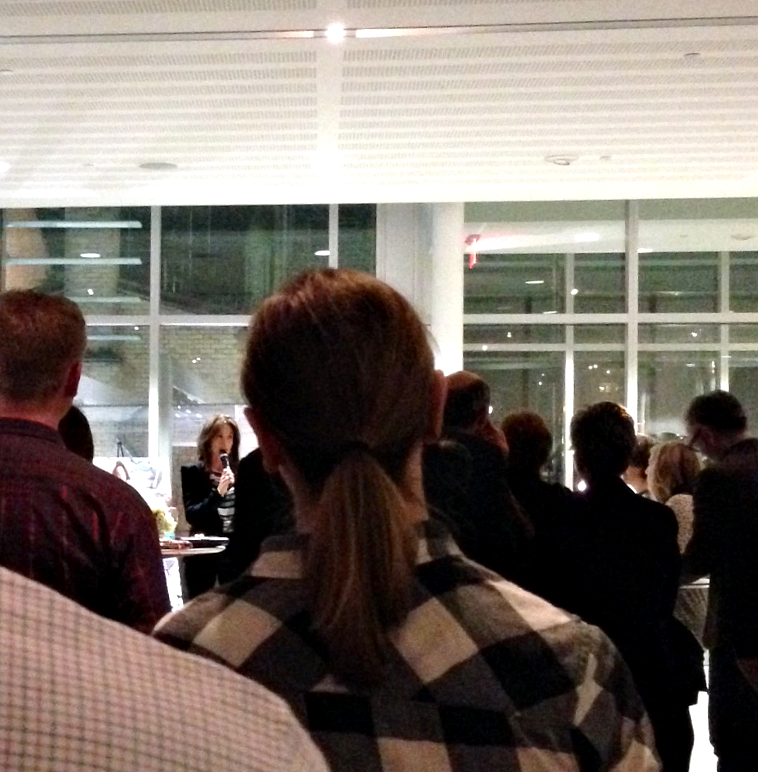 So needless to say, when Sarah publishes a book, it's kind of a big deal. 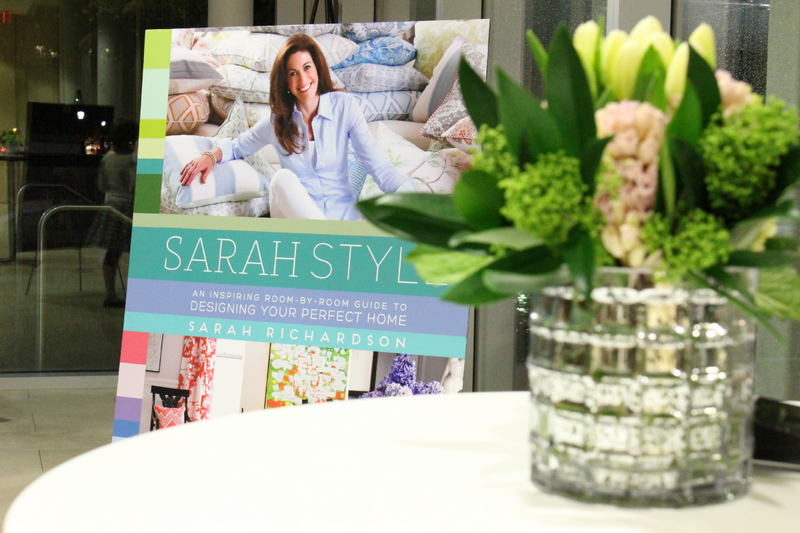 Last week I had the wonderful opportunity of celebrating the launch of Sarah's very first book, Sarah Style. 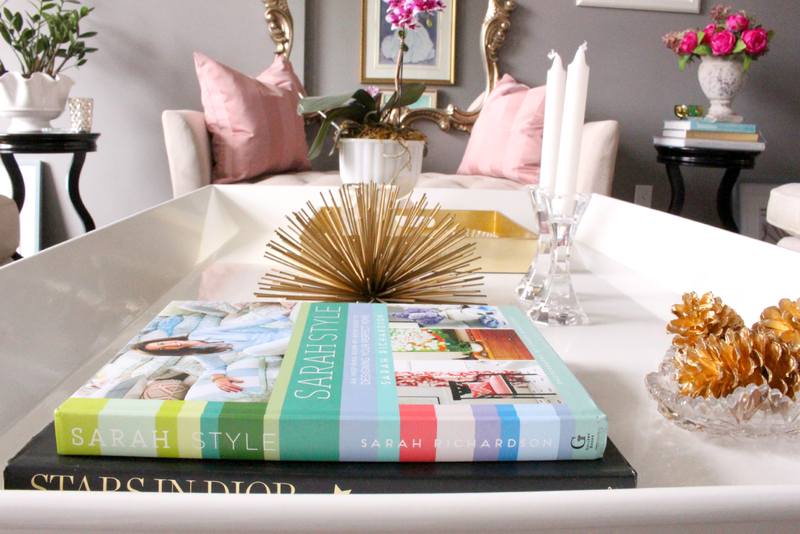 #SarahStyle is a breathtaking compilation of stunning spaces and design tips, with each chapter focusing on a specific room of the house (absolutely brilliant). You will find encouraging words on how you can achieve the look you are going for with ease, be it for your entry, office, dining room and more! 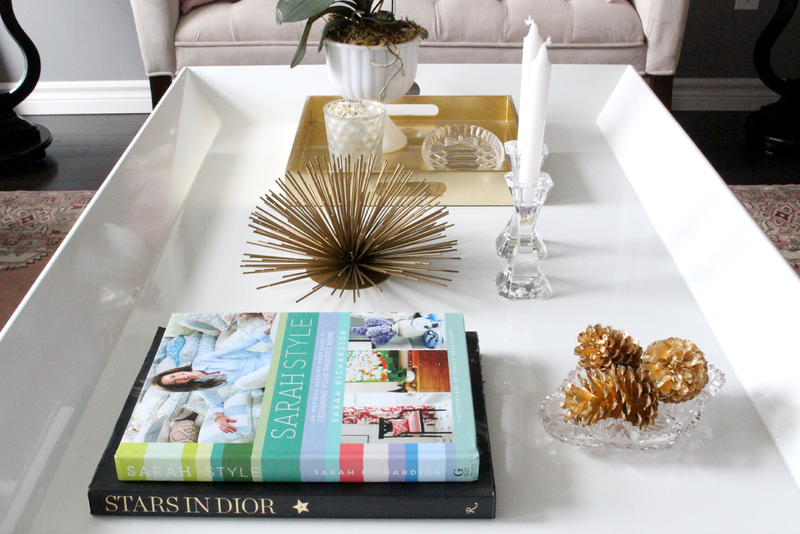 It is truly gorgeous and inspiring from front to cover (fact: Sarah envisioned a striped spine for her book from day one and it's no wonder why! It looks amazing). 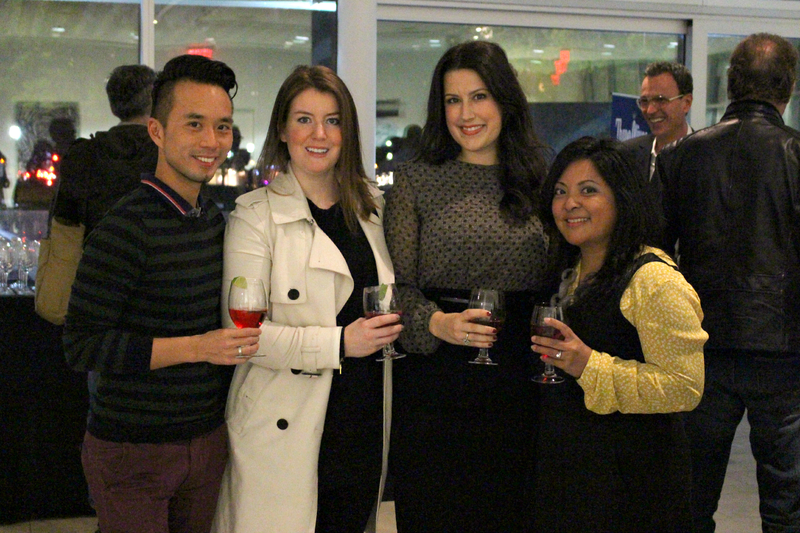 There were some familiar faces in the crowd at the party, including some fellow bloggers, Sarah's team, clients, designers and more. The atmosphere was fabulous. Sadly, I wasn't on my blogger "A" game once Sarah arrived that evening and I didn't get a photo of her, other than this one as she was giving her speech. But seriously, how did I not get a photo of her?! I was impressed by the fact that it took Sarah and Simon & Schuster just one year from start to finish to get this book on the shelves! Can you believe it?! The glossy pages are full of colourful images and unbelievably inspiring spaces for all tastes and styles. I literally gasped when I first opened it! All of those images that I've pinned and torn from magazines are all neatly and beautifully compiled into this amazing book. You can learn more about the book here, on the Simon & Schuster page. And just a friendly reminder to check out the Canon post! You can enter to win an amazing Canon Selphy printer! Print all of your photos from your phone or camera right at home. Super simple to enter too! You can find the post here. All books are aimed at meeting the needs of some particular niche. Like a fiction book meets the needs of someone who needs to be entertained.